This band is on FIRE.. oh wait.. 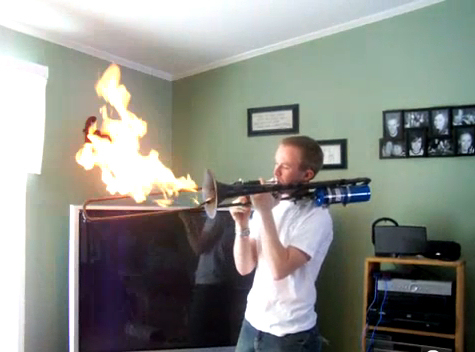 Yes, this trombone is also a flamethrower and it still plays in tune! This should be an addition to every stage show! We have video of the trombone in action after the jump!